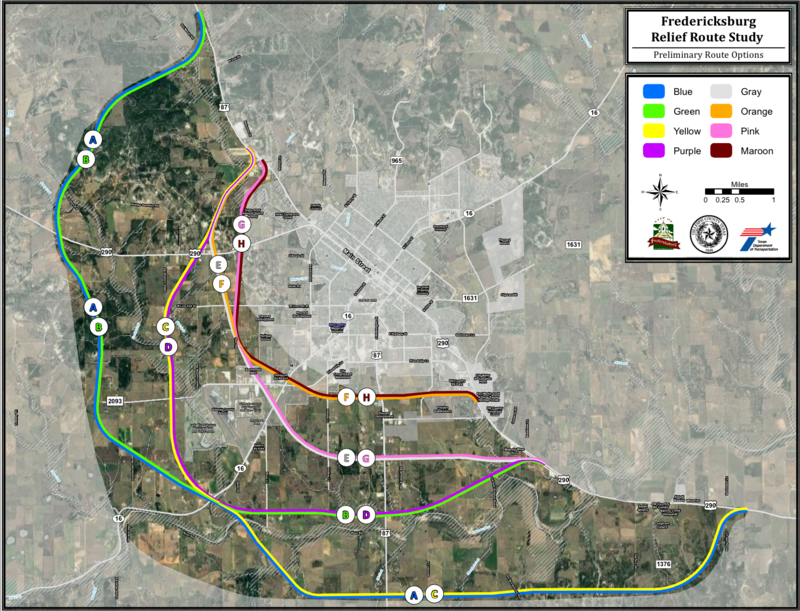 I attended the Fredericksburg TX relief route workshop on Jan 24th and the task force has narrowed down the number of conceptual routes quite a bit. There are currently 8 different Fredericksburg Relief route possibilities and now only 3 locations that they will ultimatly tie into 290 and 87. Which of these routes will ultimately be used is uncertain. It could be a combination of any of theses or it might end up not even happen at all. The relief route task force has put a lot of work into this. The City, County & TXDOT representatives all did a great job explaining the process and some of the proposed routes in the study area. But I also know not everyone got a chance to attend so I thought I would share the information I received. For my two cents, I see the closer in Fredericksburg relief routes of E, F, G and H being the most likely from a cost perspective. The further out you go the more land will have to be purchased. For instance route A, C and D would require new bridges to be built across the Pedernales River and also would go over some pretty hilly territory which would add a lot of cost to the project. 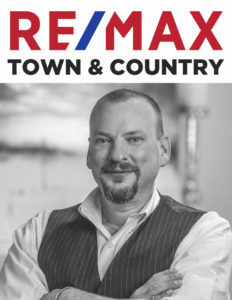 The advantage of the further out Fredericksburg bypass, is it would ultimately serve as a loop around Fredericksburg for a longer period of time as Fredericksburg grows. But with the population projections for Gillespie County not seeing any huge growth rates I think one of the closer in routes would still serve the county for the foreseeable future while keeping the cost down. The reality is that whether this project happens at all will be based on available funding. Here are some more detailed maps of each segment. You can click on each of these images to enlarge. So call it what you will, The Gillepsie County relief route, the Fredericksbrug Loop … There are still a lot of things to figure out and this whole project may or may not happen but it is certainly worth watching.